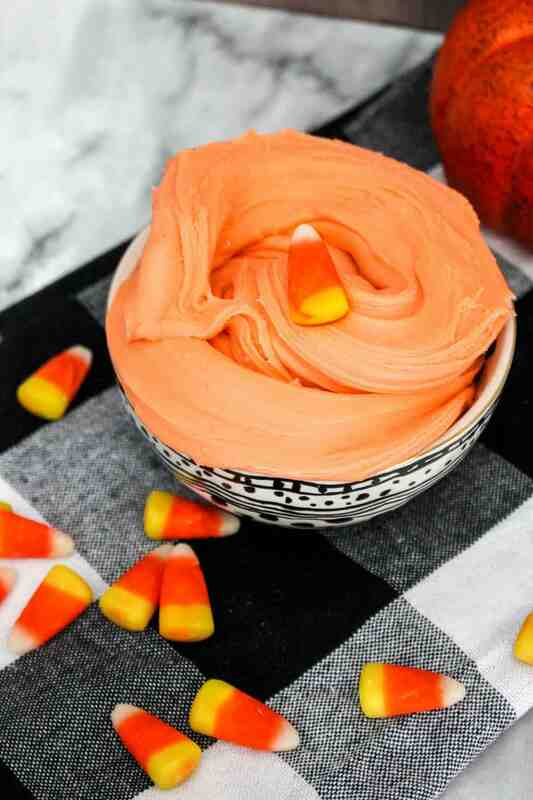 Halloween Slime, or Candy Corn Slime is a fun way for kids to celebrate Halloween. 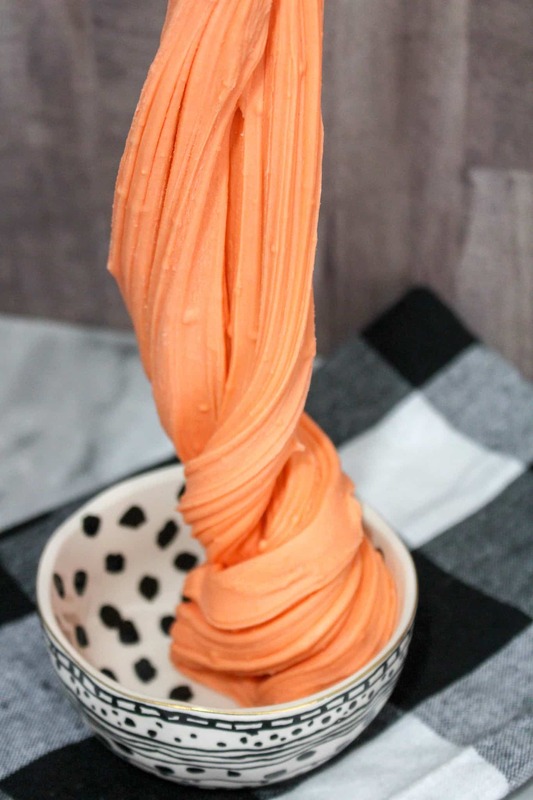 This edible slime recipe is a fun way for kids to make a halloween craft or treat, enjoy at a holiday party or make for their friends as a easy Halloween Slime gift. It is always so much fun to do Halloween crafts with the kids. 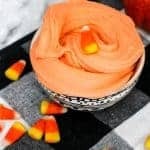 This Easy Candy Corn Slime can be considered a craft or a recipe because technically it is edible slime. Moms love slime because it helps to entertain kids for hours. Kids love easy slime recipes because they are fun to create and even more fun to play with. There are so many fun ways to make slime but my kids really like the holiday slime the best. I think that making slime on holidays is a fun way to celebrate and enjoy the holiday spirit. 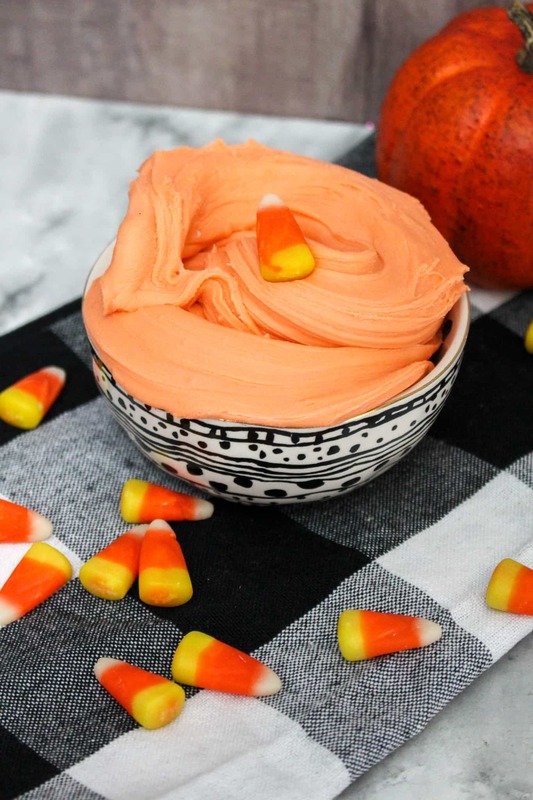 This Candy Corn Slime recipe is fun all October long. You kids will probably also love our Orange and Black Halloween Slime. In a microwave safe bowl, microwave 12 oz mini marshmallows until melted. Transfer to a bowl. Microwave 1 cup candy corn until melted. You will need to do it intervals, stirring in between each. Add in 1 tbsp canola oil and 1 tsp vanilla. Stir thoroughly. Add in ¼ cup at a time of powdered sugar mixing between each. After about ¾ of a cup, I took it out of the bowl and used my hands to mix. Be careful, it can still be hot. Note: This is the most ‘slimy’ when it is warm. If it begins to harden and you want to play with it more than eat it, pop it in the microwave for 30 seconds and you will be good to go! There are so many fun holiday slime recipes. Some of our favorites are our: Earth Day Slime, Easter Egg Slime, Saint Patrick’s Day Slime, New Years Eve Glitter Slime, and Elf on the Shelf Slime. Halloween Slime, or Candy Corn Slime is a fun way for kids to celebrate Halloween. 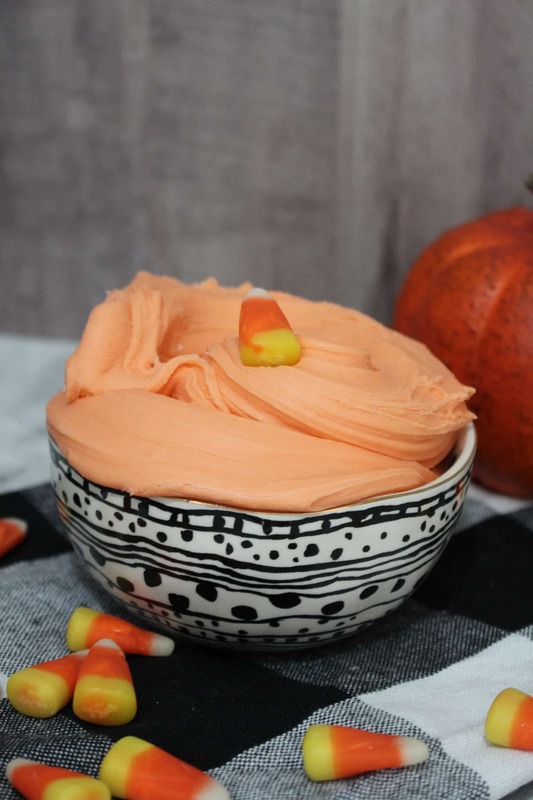 This edible slime recipe is a fun way for kids to make a halloween craft or treat, enjoy at a holiday party or make for their friends as a Halloween Slime gift. This is the most ‘slimy’ when it is warm. If it begins to harden and you want to play with it more than eat it, pop it in the microwave for 30 seconds and you will be good to go!